The series follows a sequence in which each scene arises as a consequence of the previous one. In a suite of empty landscapes, modern cities and pleasant seaside spas, Andrews paints the solitary progression of a balloon as a symbol of the soul’s voyage in search of liberation until coming to the calm waters of a beach, the chosen landing spot. All these images, infused with poetic and psychological connotations, invite the viewer to reflect on man’s precariousness and his evolution in modern times. Lights I: Out-of-Doors begins with the pleasant, cheerful experience of a balloon flying over the English countryside; it is the point of departure for attempting to overcome and flee from egotism. In Lights II: The Ship Engulfed, the balloon represents the ego swallowed up by urban life. In Lights III: The Black Balloon, this feeling turns into a somewhat gloomier experience, in which the heavy balloon, painted lead black with a weary appearance, symbolises the effort that achieving enlightenment entails. 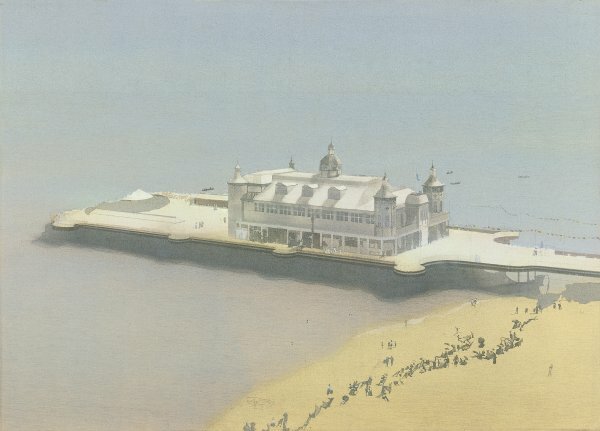 The central part of the series consists of three works set on the southern coast of England: Lights IV: The Pier and the Road; Lights V: The Pier Pavilion and Lights VI: The Spa. The pleasure pavilions depicted in them symbolise the place where man, liberated from his own ego, can establish relations with others. Self-obsession is beginning to be overcome, and therefore the balloon has disappeared from these large paintings and is only symbolically present outside the composition. The series ends with the most thought-provoking of the images in which the balloon-ego is depicted as a shadow hovering over a beach on which it may be about to land. This last painting is an act of resignation and signifies, to a certain extent, a return to the initial position, following the artist’s realization that the pursuit of enlightenment is a futile effort; enlightenment cannot be found — it appears without warning. Lights V: The Pier Pavilion in the Thyssen-Bornemisza collection is based on a photograph of the Britannia pier in Yarmouth published in the Eastern Evening News on 20 July 1967. Andrews used a grid to transfer the cutting he had kept to canvas, adapting it to the large size. To enhance the metaphorical aspect, the painter gave the picture surface a misty sfumato appearance and decided to spray the waterbased acrylic paint onto the unprimed canvas with a spray gun, thereby accentuating the sensation of a mirage, and to heighten the effect of distancing which he wished to convey. As William Feaver aptly concluded in his study of the Lights series, “painting, Andrews learnt, was the answer.”Andrews confessed in this connection, “I realised that enlightenment, this sudden, beautiful, selfless, consciousness, happened within my own discipline. 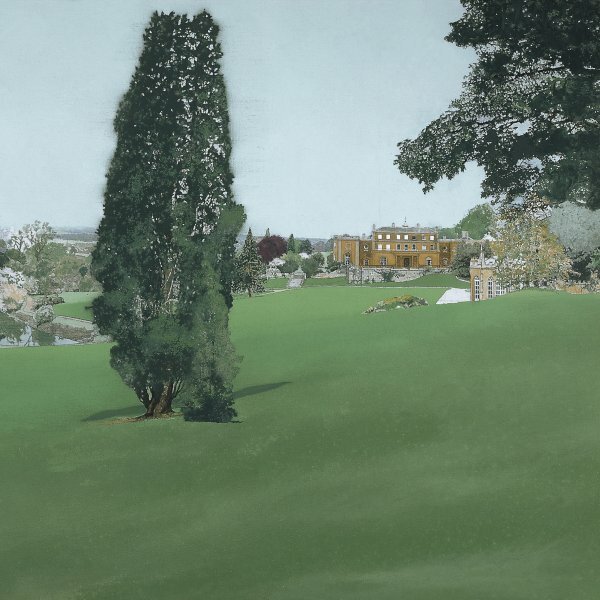 Each time, in the process of painting a picture, enlightenment happened, over and over again.” For Andrews, painting was no doubt a manner of taking a stand and of representing lost illusions.